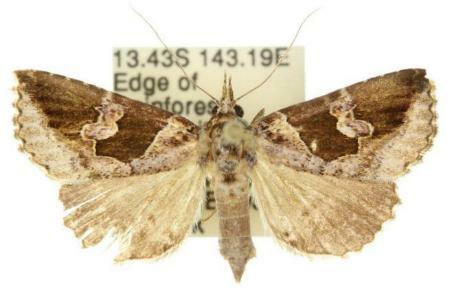 The adult moth is greyish brown with dark sinuous patches each forewing. The hindwings are plain brown. The labial palps are long and normally projected forward. The wingspan is about 3 cms. Part 9 (1893), p. 105, No. 549, and also Plate 163, fig. 10. Volume 41 (1888), p. 137, No. 364.